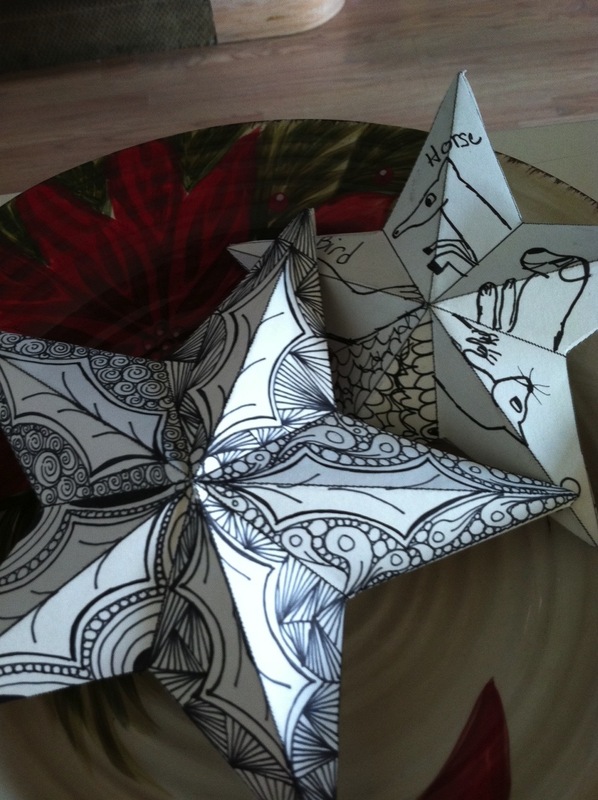 The ARTbar Studio/ARTstarters - 3D Paper Stars with New Year Surprise! 3D Paper Stars with New Year Surprise! Create a unique version of our 3D Paper Stars to hang in your room or office to remind you of your New Year's "resolutions," goals or Purpose Statement. foiling, glittering, gilding and watercoloring, and more! Plus we'll add a surprise inside that will be waiting for you at the end of the year! You'll have so much fun making it that it just might become a new annual tradition for you! Great family or couple activity too!